Attending the wedding of the year? RSVP with this excitable card from Happy Jackson. 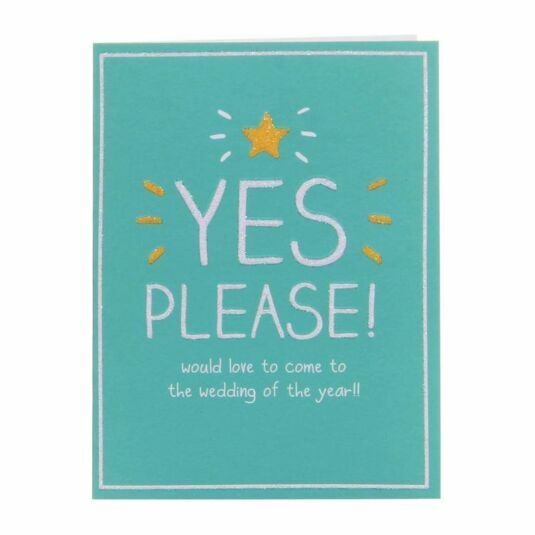 This card reads Yes please! Would love to come to the wedding of the year! !